.name is an international top-level domain, the same to .com and .net. Because it has highly personal characters, .name is perfect for personal websites. 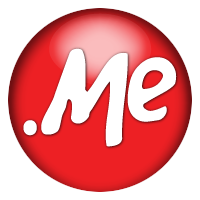 As individual consciousness increases day by day, personal websites will get more and more attention, comparing with other domains, .name enables more users attracted by your domain and get to know you in your personal site. Name is the most direct symbol of a person. To register a domain with .name can help you get a unique name on the internet, so it is suitable for individual sites with distinct symbols. .com and .net have already been rush to register, but .name is still resourceful, so there is no doubt that .name is an ideal alterntaive, enablling you to easily register the favored .name domains. all enterprises, organizations and individuals can regist .name domains which are recordable.